Terrorists are increasingly making use of online and offline media tools to promote their illicit activities. In addition, countries such as Iran and Syria support terrorist organizations through a variety of means, including communication platforms. These countries utilize media tools to support terrorism, manipulate elections and develop hostile discourses targeting other countries. The "Terrorism and Media" Desk examines the relationship between state-sponsored terrorism and the media. Furthermore, the Desk analyzes how terrorist organizations utilize media tools to spread their messages and radicalize vulnerable individuals. Research focuses on the analysis of platforms through which terrorist messages are disseminated. 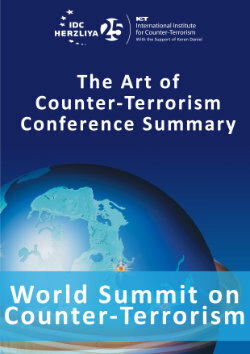 Publications by the "Terrorism and Media" Desk also review various strategies to counter the use of media by terrorist organizations. 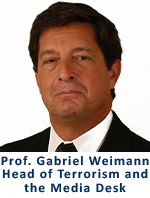 Prof. Gabriel Weimann , Head of "Terrorism and Media Desk"
Digital Terrorism in the Israeli Election Campaign?